The Handwheel accessory option for any of the Baier Hex Centerbolt Style Hatch comes as either spoked or unspoked. These are intended to be mounted on the top or bottom of the hatch for added torque when entering or egressing a void or compartment. 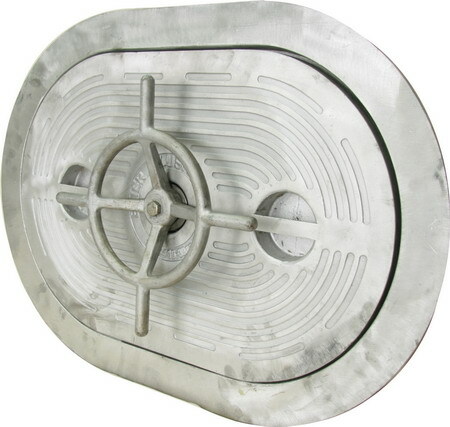 When ordering – it is necessary to specify whether your current centerbolt hatch has an existing handwheel or not as holes are required for mounting to the topside. 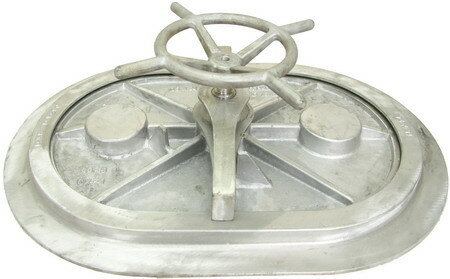 Spoked handwheel mounted on topside of hatch. Spoked handwheel mounted on bottom of hatch.